Need a Quick-Acting Acne Fix? Break out the Calamine Lotion! My Best Emergency Tooth Pain Reliever — Castor Oil! Detox Dreams = Scary Nightmares? Keep your gut healthy – it’s your body’s second brain! Castor Oil has many medicinal and curative uses, and the same properties that make it so effective in healing the body also make it an excellent choice for maintaining beautiful and healthy skin and hair. Where to buy castor oil? The ricinoleic acid in castor oil works to inhibit many viruses and bacteria, and as castor oil is able to penetrate skin tissue deeply, this makes it an effective treatment for acne. To treat acne, dab a hot damp washcloth all over your face in the evening before you go to bed. The heat will gently open the pores on your face. After this, massage a little castor oil gently into the skin. Leave on overnight. Repeat this daily for 1 to 2 weeks to see results. You can also repeat this twice in the day, once at night and once in the morning. Castor oil’s ability to penetrate more deeply than any other essential plant oil make it an excellent way to keep skin looking youthful and fresh. Castor oil works better than any store-bought anti-ageing creams. One of the best and easiest ways to use castor oil is to rub in a small amount around your eyes before bed, washing it off the next morning. You can also rub in castor oil all over your face, but as it’s extremely thick and sticky, use sparingly. A little goes a long way! You can rinse this off after 2-3 hours, but you can always keep it on for longer if you feel comfortable. This type of all-over application might feel more uncomfortable in hotter and more humid climates. Thus, cooler days/nights or fall/winter may be better for castor oil mask applications. 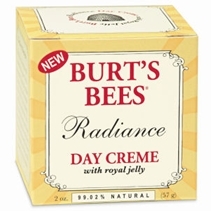 Done daily, this will keep wrinkles at bay and the skin looking fresh, youthful and supple. With consistent use over a few months, this can also help to fade old dark marks left over from pimples/spots. Note: If you intend to use castor oil intensively (24 hours/day over many consecutive days without significant breaks), you may encounter some temporary “looseness” in the area of application. This looseness/wrinkling effect is temporary, and the skin will tighten back up again in 1-2 weeks if you take a break from castor oil. However, you can avoid this risk by taking regular breaks. This “looseness” should not happen when castor oil is used normally. To clarify, 24 hours/day over many consecutive days = NOT normal use. Be sure to use only cold-pressed (or cold-drawn) castor oil that is hexane-free. Any other kind could clog your pores.Another good reason to use cold-pressed castor oil instead of refined castor oil is that cold-pressed oils retain much more of their valuable nutrients. A study by a Turkish university showed that more than 95% of the free fatty acids and carotenoids, and up to 61% of the tocopherols were removed when an edible oil goes through the conventional refining process. Read this comment for more information. 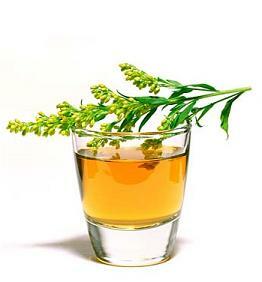 Castor oil is found in several anti-ageing creams, wrinkle creams and undereye creams. A few commenters have questioned the wisdom of using castor oil on the face given its ability to promote hair growth when used consistently over months. i.e. won’t this cause hair to sprout all over the face? This is a fair question and deserves a straight answer. ANSWER: No, castor oil will NOT turn you into a bearded lady or a wolfman! Yes, it’s true that long-term and consistent castor oil applications will promote hair growth. However, it cannot make hair appear on areas where hair does not naturally occur for you. I have used castor oil around my eyes every day for years now and I assure you, gentle reader, that I have NOT turned into a bearded lady. Castor oil use is ancient, and if it was able to create bearded ladies or wolfmen, the world would have heard about it by now through folk tales and old stories. Not to mention, the modern medical, pharmaceutical and scientific community would also have been all over this “miraculous” effect by now if it were true. For most people, when castor oil is used on the face, this means thicker and longer eyebrows/eyelashes and more rapid growth of them. If you are a man with facial hair (a beard or a mustache), castor oil use over those areas will promote faster growth and thicker hair. This is also the same for some hirsute women. However, castor oil use does not affect ‘vellus hair’. Vellus hair is the fine, downy and near-invisible hair that we all have on our faces (mostly over the cheeks). What if you have had laser hair removal? Applied consistently over months, castor oil can cause hair to regrow after temporary and “permanent” hair removal — including laser hair removal, waxing or tweezing. For instance, after years of over-tweezing in my teen years, some parts of my naturally thick brows have become sparse. Regular castor oil use has filled in and thickened these sparse areas for me over time. However, if you were born with naturally sparse facial hair, castor oil use is unlikely to do much. Similarly, if you have “permanently” lost hair from a wound or an injury (like I did from a deep burn on my leg), castor oil will also eventually return hair growth to normal. If you do not want hair re-growth after laser hair removal, then avoid use over those areas. Castor oil’s unrivaled deep tissue penetration help to soften and remove both external and internal scars, like those that form following surgery. I have personally removed a deep burn scar using castor oil (I also shared my before-and-after photos in that article). Castor oil will penetrate deep into the tissues to slowly break up scar tissue. Amazingly, castor oil is able to distinguish between healthy cells and abnormal ones. In healthy cells, castor oil will detoxify and stimulate them, while increasing circulation. In abnormal cells like scar tissue and growths, castor oil will instead work to aggressively dissolve cells thanks to its solvent property. To break down internal scarring, soak a piece of clean cloth with castor oil and place it over the scar area for an hour or two each day. You can also simply rub castor oil over the scar each day. More serious internal scarring will take longer to break down. On another note, castor oil can also prevent scars from forming in the first place. Applying castor oil over cuts or scrapes will promote excellent skin healing. 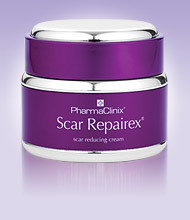 Remarkably, applying castor oil after surgery, cuts or wounds will also minimize scar formation. This could be because of castor oil’s ability to increase our body’s lymphocytes (because of this, castor oil packs are especially useful for people with HIV or AIDS). Lymphocytes, or white blood cells, appear to regulate wound healing. And studies have shown that T lymphocytes may play an important role in wound healing and scar formation. Babies and young children have naturally higher levels of lymphocytes than teenagers and adults, which could be one of the reasons why our skin healed with much less scarring when we were younger. 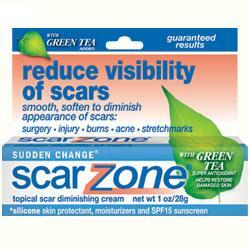 Several commercial scar reduction creams also contain castor oil (eg Scar Zone, Scar Repairex). However, they also contain more chemicals than they do castor oil! Denise talked about how castor oil seem to be the only thing helping soothe the pain from her shingles. Shingles are a type of viral infection and as castor oil has been proven to boost the body’s lymphocytes, it could be why castor oil applications appear to be helpful for anyone with weakened immune systems. For more on this, read how topical castor oil applications boost the immune system. Rub a little castor oil over the base of your eyelashes before bed. 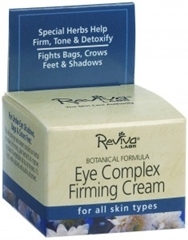 This prevents thinning and promotes rapid growth, leading to thicker and fuller lashes. In fact, many commercial products for eyelashes contain castor oil. To thicken sparse eyebrows, rub a little castor oil over the brow line before bed. The anti-bacterial and anti-fungicidal properties of ricinoleic acid in castor oil protects the scalp and hair from infections that can cause hair loss. The omega-9 fatty acids in castor oil also nourish the hair and prevent the scalp from drying. Rubbing castor oil on your scalp and the roots of your hair will regenerate new hair growth within months. This will also thicken thinning hair. To treat baldness, it is also a good idea to look at improving your overall diet and seek to maintain healthier mental/emotional states at the same time. Otherwise, baldness may simply recur after castor oil treatments. Many things can lead to baldness, but one of the most common causes is magnesium deficiency, which is rampant in modern society. Even if we have a healthy diet, sustained fear/stress/anxiety will deplete our bodies’ magnesium stores. Drinking coffee, alcohol, smoking or excessive exercise will also do this. Thus, eating foods that are high in magnesium (such as dark green vegetables or certain nuts/seeds), supplementation with magnesium chloride/magnesium citrate, or transdermal magnesium therapy can help greatly. Magnesium also has a wonderful calming and relaxing effect, which will be especially useful if stress is your issue (read my original comment about this). For a deep healing treatment, rub castor oil into your scalp and leave it on overnight. You can wrap your hair up in a towel or a shower cap to keep the oil on your scalp and away from your bed linen (castor oil stains are almost impossible to remove). For a lighter treatment during the day, rub a very small amount of castor oil into your scalp or hair (whichever you feel needs help). Castor oil is very thick and viscous, so a little goes a long way. You can either wash this off at the end of every day, or leave it in if you feel comfortable (to maintain your regular schedule of hair washing, whatever that may be). However, if you have fine or weak/brittle hair, it’s a good idea to mix castor oil with a lighter oil so that it’ll be easier to wash out later (baking soda will also help remove castor oil, but it can be temporarily drying). Some have reported good results from mixing castor oil with coconut oil or olive oil. Coconut oil is especially good for restoring damaged and weak hair because of it’s high nutrient content. rbooh wrote, “Thank goodness I found castor oil! I moved to a new city and my hair was not adjusting so I tried a few different things ( I do NOT recommend the “no-poo” method if your hair is color treated BTW ) and wound up breaking TONS of my waist length hair off. I was desperate to find something and I stumbled onto castor oil. After researching it I tried it as an overnight leave in and my hair just LOVED it; my hair was 75% better after just one use. I mixed a generous dollop into my hair conditioner and use that as well as a light leave-in application of straight castor oil on my damp hair. I also did my own experiment using castor oil on my face. I used castor oil on one half and my regular lotion ($50.00 for a few oz) on the other half and in just one week I noticed a visible difference. The castor oil side was plump, smooth and blemish free, not to mention my luscious lashes. Most amazing of all!! Castor oil totally, as in completely!! removed a WART from my chest. I can’t believe its gone since I’ve had the darn thing for 6 months and even 1% Retin A didn’t do a thing for it. I rubbed pure castor oil into the wart for 2 nights before bed and voila, GONE. Perhaps not everyone needs the heavy oil and I read quite a few negative opinions about using it straight in your hair, but if you have really dry hair and skin, it truly is amazing. The odor is kind of odd and can take some getting used to. But I love that I can touch my face after touching my hair and not worry that my hair products will make my face break out. Castor oil is a humectant as it draws moisture into the hair and skin. Applying castor oil on hair will keep it looking soft, shiny and strong. Apply a castor oil soaked cloth on the affected area. If it is small enough, a bandaid with a few drops of castor oil can be used instead. Rub a small amount of castor oil over your stomach and thighs daily to prevent stretchmarks during pregnancy or periods of weight gain. Rub castor oil into your age spots every night. 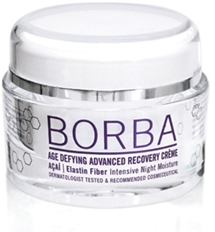 The age spot will lighten over time, and continued use will eventually remove the age spot completely. Castor oil is thick and viscous, but it can be washed out with regular soap and a good lather. However, if you find it more difficult than usual to wash castor oil out of your hair or skin, try mixing in some baking soda and water. Baking soda can cause some temporary dryness, but is very effective in removing all traces of castor oil. Castor oil can be found in most good health food stores. Check the label to make sure it’s cold-pressed (or cold-drawn) and hexane-free. This is especially important if you plan to put castor oil on your face, around or in your eyes, or if you plan to ingest it for internal cleansing. Some supermarkets or pharmacies may also sell castor oil in small bottles in the laxatives section/shelf. Again, check the labels. You can also find castor oil in shops that cater to Indian communities. If you have a ‘Little India’ in your town or city, you can probably find it there as castor oil is a popular hair tonic among Indians. However, the downside is that these mom-and-pop stores are unlikely to sell castor oil that’s labeled cold-pressed or hexane-free. If you prefer to buy castor oil online, several websites sell bottles in a variety of sizes. I buy mine from iherb.com (I found the shipping to be reasonable even for the largest, heaviest bottles. There’s a discount code at the top-right of this page if you’re interested). Other websites that sell castor oil include Vitacost and Amazon. Castor oil softens skin naturally by penetrating the surface layers. By penetrating deeply into the skin, it can hydrate cells and prevent wrinkles. Cod liver oil contains vitamins A and D as well as Omega-3, which can help those with acne. The main difference between cod liver oil and other fish oils is that cod liver oil is high in vitamin D. Omega-3 can also be useful in helping treat psoriasis, eczema, and other skin diseases. I healed a three-year old deep burn scar on my leg by using castor oil for nine months. If you have deep scars or old injuries, you may want to consider using a healing oil like castor oil as well. when using castor oil on the eye brows and eye lashes, when should you start seeing visible results..? because I am using this over 2 months now, and I see no changes what so ever! My acne problem is out of control and I’m 26, way too old for this! I’m going to try castor oil. Crossing my fingers that I can finally have the clear skin I’ve always wanted. but i dont know where i can buy a castor oil. Hi Samantha, I just want to know if I can go outside with castor oil on my face when it’s sunny ? Hi pamela, I can’t find any mention of castor oil increasing sun sensitivity, but to be safe, you can try using it on your arm or legs first when it’s sunny out. I think castor oil has strong protective qualities and can heal sun damage — my only concern is that it can also increase blood circulation (more redness). For some skin types, increased redness in the skin combined with strong sunlight can lead to hyperpigmentation. I doubt this will happen with castor oil, but it’s better to do a test patch first to see how your skin will react. Is castor oil suitable to stimulate hair growth for 1 year old baby? Thanks. Hi Mary, I can’t speak for the effectiveness of using castor oil to stimulate hair growth on a baby since I really don’t know. But it’s safe for you to try — castor oil is safe to use on a baby’s skin and scalp. It’s a very gentle oil and is sometimes used to treat cradle cap. im 26 and my acne problem is totally out of control, which i am too old for, but ive been trying castor for some days now, and im crossing my finger that it works!!!!!!!!!! Take a tablespoon of organic apple cider vinegar in a glass of water every day and also rub the vinegar by itself all over your face at night. Dont let it get on pimples you’ve picked at tho. This remedy has worked wonders for me, especially for the cystic type pimples that dont seem to have a head to them. The taste and smell takes a minute to get used to but it is definitely worth it! Hi, Which kind of acne you had. Do you also has pigmentation on your face? How is your face skin now? Thanks. when i use ponds for 1 week my face got start to have a red dark spot. flabby skin after weight loss? Just a free advise from my own experience of castor oil. One year before, I had used Cold Pressed Pure Castor Oil (sourced from Ihearb) as advised by Samantha on my face to make my skin free from light pigmentation. But after using 10 days of castor oil on face, my pigmentation start to get dark. I had stopped to use it immediately. But Pigmentation didn’t stop to dark and now one has pass and it gone worst and I can’t go outside without make over. I was also putting it on eye-brow, which resulted in appearance of pigment on above area of eyes-brow, which I never had before. I had wrote to Samantha also, but she didn’t reply me on this reaction. So I recommend all of you that do not use castor on face, but if someone is really daring to take this risk then its better to use on a very small area of your cheeks and see results after 3-4 weeks application, If you find that there is no side effects on that small area then start to use on rest of the face. I am using the same castor oil on my hairs to make them thicker but its one year has passed but I see no positive sign and hair fall is also same. But I am continue to use it by hoping that may be after 2-3 years my hairs become thicker. Lets hope for good:). Hi sumail, I’m not sure abt castor oil applying to face but very sure about applying to hair. It works wonders to hair. My hair fall was controlled to 90% in just one application and controlled to 100% in 3 applications!! And I continued applying castor oil every time I wash my hair and believe me even a single hair doesn’t fall and my hair grows as well !!! Hair fall is controlled in just one application of castor oil… I just love castor oil for hair!!! I learned that castor oil treats eye conditions years ago when my son was a baby and was prone to pink eye. At the first sign of eye redness/itchiness etc., I would have him lay down and plop a dollop of castor oil in the eye and cover with a hot, damp washcloth and let it soak for about 10-15 minutes, and the problem would disappear. Once I discovered this, he never had to see the doctor again for pink eye. We use castor oil in this way for ANY kind of eye discomfort. It works! hi samantha.. after i read ur article i started to use castor oil in my legs because i have many scars on my legs.. but i am worrying about the hair because castor oil helps to thicken the hair and i dont have any hair on my legs.. im just worried about growing hair on my legs after months of using the oil.. Yes, castor oil can thicken hair in places where we naturally have hair but have removed it. You should probably stop using it if you’re more concerned about regrowing hair than removing scars. Helo Admin.i wanna know that as now i have a rash through my face and i cant go out i feel ashemd when im around many people. so my ques is if i can start using Custor Oil it can complite this annoying rash or what? can castor oil rid xanthelasma? hii..i am hearing very much about Castor oil now a days..and want to use it myself for my hair are breaking a lot these days..i just want help from the admin help me select what kind of Castor oil should i use on my hair.. can u plz name the product..m very eager to use it but have read the reviews.. for some its a win win..and some are not satisfied at all..what should i do.. I am quite happy to see you recommending people about the usage of Castor Oil. I have several rolling and boxcar indented scars on my face from severe acne breakout years ago. Can they be treated with massaging castor oil. Please advise. Hi Shaikh, yes, you can use castor oil to treat facial scars given time and patience. The only thing is that it might be a little uncomfortable because castor oil is thick, so your face might feel “hot”. My reply to Orla’s question here could help you. | skinVERSE < Loved it! Where can I buy castor oil?? How will using castor oil on my scalp for thinning hair affect my red color treatment? Should I stop coloring? I have finally found a shade I really like, that is so close to my natural color, when I was a bit younger, and spent more time in the sun. Hi Kay, I don’t know if it’ll affect permanent hair dye jobs, but since castor oil is an excellent pigment dispersant, it might carry some chemical dyes from hair out. If you’re worried, you can test it on a strip of hair first before applying to your whole head. Thanx for all castor oil usage. I suffer from diverticulitis. How can i use castor oil to help me. You can try regularly using a castor oil pack over your abdomen. I’d also recommend looking into improving your diet to an alkaline one, and taking in more fermented drinks/food or probiotics (avoid store-bought yogurt though as these usually are full of sugar and little actual good bacteria; homemade ferments are best). Over time, these should increase your bowel movements and keep things moving (important in the case of diverticulitis). You can also try slippery elm bark or turmeric. These can help soothe inflammation or swelling in the colon pockets within the gut. With time, a healthy natural diet, and regular eliminations, you may be able to tone and tighten your colon, thereby healing your diverticulitis. Sam,thanks for the advice. Can someone help me with homemade fermented drinks and yoghurt recipe. Will black Castro oil help with vaginal dryness? Hi samantha, have been using mediven for quit some time to an extend that i nolonger apply anyother cream on my face since it has develop reactions. Please advice me since i really want to restore my skin. Hi Yvonne, I’m sorry to hear that. You didn’t mention what the reactions were, but if you suspect deep damage, you can try castor oil or extra virgin coconut oil (others might work also) to help heal the area. This won’t be a quick fix and will take time, but if you’re determined, I think it can help. Hi, i know this sounds silly but its quite a big deal for me. I have a naturally large forehead (my hairline is quite far back) so im guessing castor oil wouldnt be able to grow new hairs on my forehead to make it smaller? :/ thank you. Hi Lisa, it’s not silly at all. To answer your question, castor oil can help regrow hair, but not in areas where you’ve never had hair growth before. I hope it doesn’t worry you too much though… I don’t mean to minimise your problems, but I have to say that whenever one of my friends tell me about a body part that they’re worried about, I always think that most likely the only person who notices that is you and no one else. The people who love you only sees a person they love. I have dark spots due to lichen plannus disease. So will castor oil help to remove spots? So I bought castor oil stimulant laxative can I still use it on my hair and face it’s saying its for relief of occasional constipation ?? You can still use it, but it’s better to find something hexane-free and cold-pressed if you plan to use for the long-term. I bought castor oil purgative/laxative, can I use it in my eyelashes? There is no cold pressed cold drawn written on the label,, is it safe to use on my eyelashes? Can I use JBCO for castor oil packs ? Hi Jenny, I haven’t tried JBCO, but you can give it a shot and see how it goes. I know it’s used for hair with good results. Hi Samantha . I have a lot of gray hair. About 70% of my hair is gray. Plz suggest me can castor oil solve this problem. I have a problem of hair breakage around the hair line espceially all my hair is gone i put weaves on my hair to hide the places where there is no hair and my hubby is not happy about it.Please let me know if these castor oil is going to help? Get a 2.0 or smaller derma roller and on a moisten scalp roll it then apply Jamaican castor oil. This is especially good if you’ve been bald on the edges for some time. It takes about six months to see some growth and you can also try some lavender oil if you want to mix it up because the jamican castor oil has a very strong smell. Remember to keep your scalp moistened and oiled it all times. No pulling and no perm should touch that part of your scalp. Even if you haven’t seen hair there for years you’ll see it in about six months you’ll be surprised it’ll grow back. Is castor oil HERCULES safe for my black spot inbetween my thighs and hair? I just bought castor oil yesterday but don’t know how to use it. I have lots of acne scars all over my face. Do I have to get steam before I apply the oil? if yes, for how long I have to get steam for and is it okay to mix the oil with vitamin E oil.